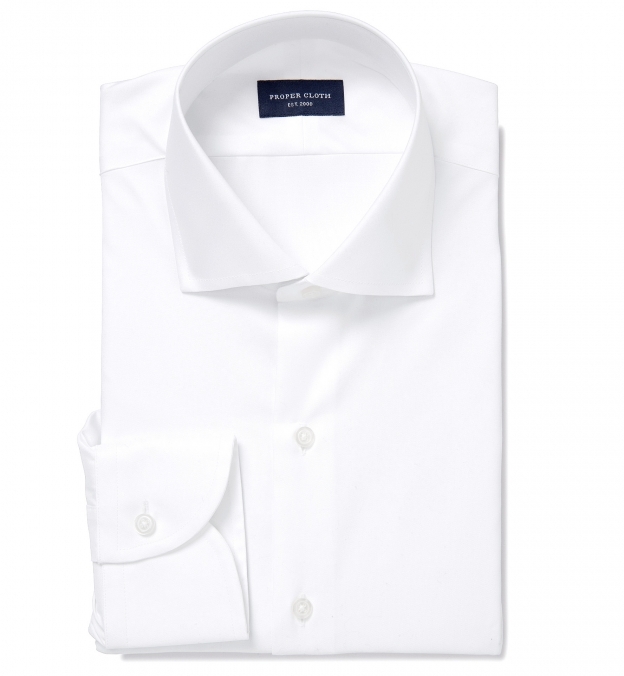 Shirts can be made from a wide variety of fabrics—from thick heavy flannels to the thinnest cotton and linen blends. Typically, weight and color dictate the opacity of a fabric. The thicker a fabric is the more opaque it will be, and the closer to white a color is the more it will show through. These aren’t the only considerations, though. The weave of a fabric and type of yarn used can come into play. Shirts with wool woven into them almost always tend to be more opaque, whereas 100% linen or cotton/linen shirts tend to be more sheer. Additionally, a fabric can be more or less opaque depending on whether it’s an oxford, a pinpoint, a twill, a broadcloth, or a jacquard. Twills end up being pretty dense because of the nature of their weave, so these will often be more opaque than oxfords and pinpoints of similar weights—these two weaves are woven a little “looser” and more “open.” Broadcloth (or poplin) is more difficult to weave with a very high density, so most broadcloths will tend to weigh less than twills, oxfords, and pinpoints. Because of this, broadcloths tend to be the least opaque fabric style. While many guys will never have an issue with the opacity, there are some who find this to be the most important aspect of their shirt. Those with darker skin, or (especially) guys with hairy chests are most likely to have issues with fabrics showing through. 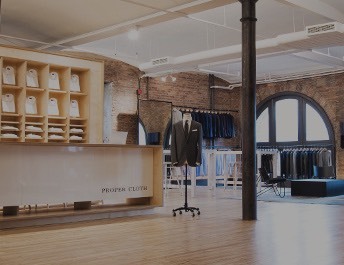 We rate each of our fabrics in terms of its opacity to give our customers a good idea of what to expect. We do this on a 1-5 scale, with 1 being the least opaque and 5 being the most opaque. This means that we don’t expect anyone to have an issue with the opaqueness of this fabric. It shouldn’t show through and should retain its color, regardless of the color of the skin or hair below the fabric. Our 4/5 opacity rating is our most popular rating. We rarely have issues with customers finding these fabrics to be sheer. Most non-white or patterned fabrics will be in this category. This is where many of our white or light blue solid fabrics will fall. 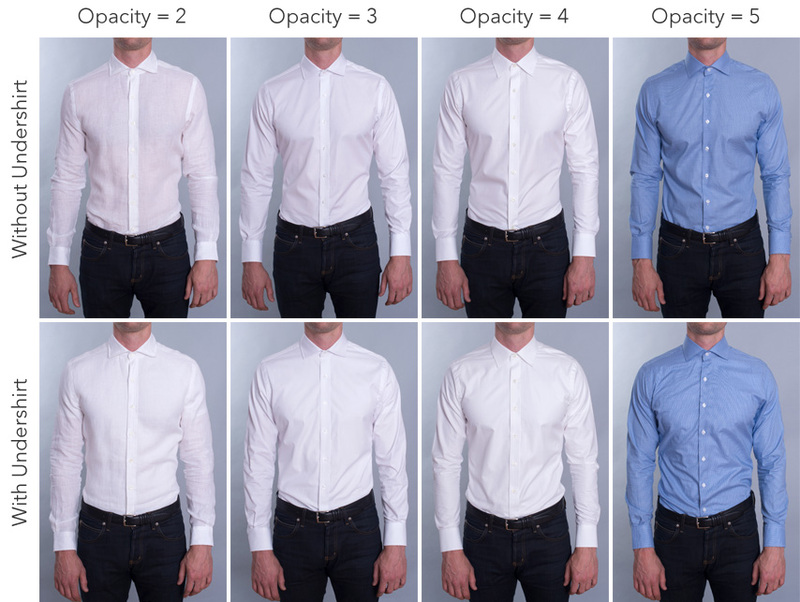 Most guys shouldn’t have opacity issues with these, but if you are the sort of guy who knows he wants a particularly opaque fabric then we suggest opting for a fabric with a 4/5 or 5/5 rating. 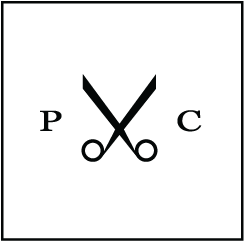 An example of a 3/5 opacity rating is “Bowery White Wrinkle-Resistant Pinpoint – PCF327.” This is a medium to lightweight white pinpoint, so because it has no pattern or color it will be more likely to show through. We’ve definitely had some customers who are particularly sensitive to opacity issues find this fabric to be a little too sheer for their preference. We carry a small selection of fabrics with a 2/5 opacity rating. All of these fabrics are lightweight summer fabrics, often made with a looser weave and/or linen. 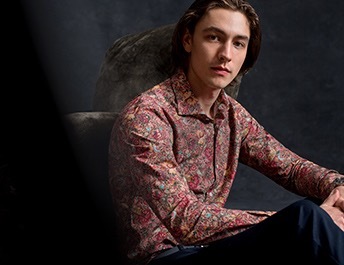 Typically, these can be the most breathable shirts and can be super comfortable in the summer, but you have to be okay with them showing through in certain situations. An example of a 2/5 opacity rating is our “Redondo White Linen – PCF1117.” It’s a very lightweight summer fabric that you will be able to see through if you hold it directly to the light. If you’re the sort of guy who knows that you don’t want your shirts to show through at all, we definitely suggest staying away from fabrics with a 2/5 opacity rating. We don’t carry any fabrics with a 1/5 opacity rating. An example of a 1/5 opacity rating would be a loosely woven mesh fabric, which is a little too casual for our taste. A luxurious, densely woven twill that’s perfect for a big event. This one is a very unique style we specially selected because of its opacity and clean drape. Thomas Mason uses a very special 120s 3-ply construction to achieve this performance. Because the weave is fine, it appears totally clean and without texture from a distance, while the twill gives it that pinch of shine that gives a white shirt remarkable vibrance. 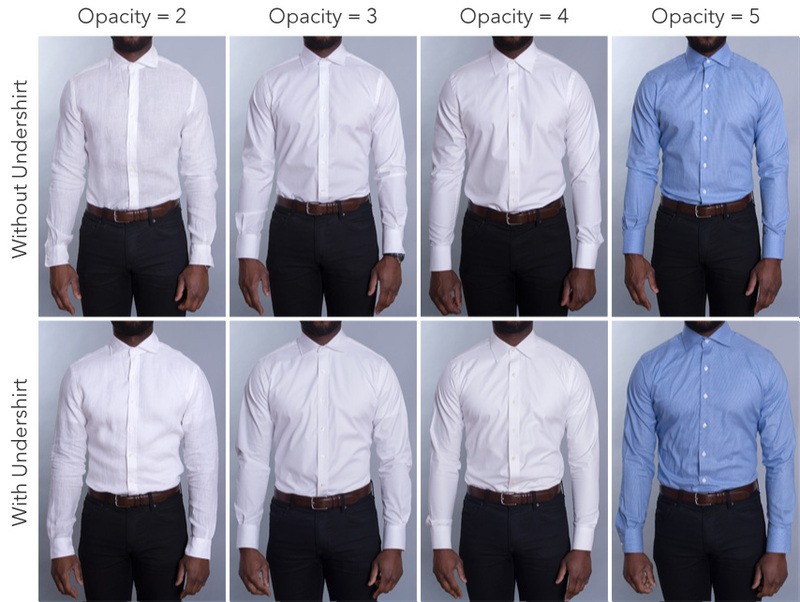 Medium-heavyweight thickness, 4/5 opacity rating—this is the most opaque, plain white office or formal shirt you will find.